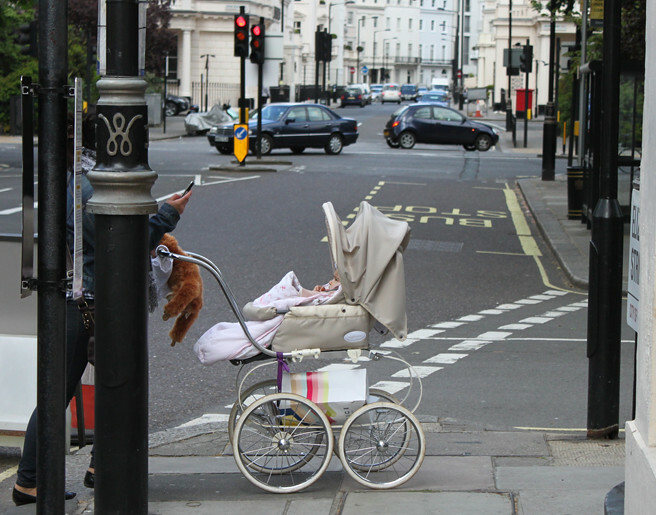 I saw this pram when we were in London and fell. in. love. The fact that I spotted it in the same neighborhood where we saw a Bugatti Veyron (the most expensive car in the world) should have instantly squelched any fantasy I had of ever owning one. But it didn't. After some light detective work I found it, and just when I thought it couldn't be any more beautiful I saw this photoshoot. It's a "classic pram" by Inglesina, which starts around $700. Sigh, I guess that's never going to happen. Maybe I can someday find a real vintage version to own (as long as it doesn't smell like mummies and seem like a death-trap).